Sure, you’ve probably heard about the 80/20 Principle (aka “The Pareto Principle”), which basically says 80% of your results come from 20% of your efforts. But do you REALLY understand its true power to transform your sales and marketing efforts. Bestselling author and AdWords guru Perry Marshall spent the last 10 years exploring 80/20 on a level no one else has. And he’s come away with powerful new insights into how to apply 80/20 that have turbocharged his success and the success of many of his clients. He reveals these insights in his new book, 80/20 Sales and Marketing: The Definitive Guide to Working Less and Making More . Just about everyone has a basic idea of what the 80/20 Rule is. But you’ve applied it to business and marketing in a unique way that very few people have before. In fact, you say it’s the secret behind your business’ success and that there’s hardly anything you do or teach that doesn’t have this formula behind it. So what are most people missing out on when it comes to 80/20? 1) People don’t realize that 80/20 applies to not just a few things like customers and sales, but almost everything you can count. Nearly EVERYTHING you would ever care to measure is 80/20. Sources of defects, complaints and theft. Expenses of every kind. Problems of every kind. Product lines, value of activities throughout your day. Sales commissions. There is extreme inequality in ALL these things. 2) Almost nobody realizes that 80/20 is an endless repeating pattern: 80/20². If you ignore the bottom 80%, 80/20 will still be true of the top 20% that’s left. That means 64% of your results come from 4%. Then you can 80/20 the top 4% and guess what, 50% of your results come from 1% of what you do. 3) Almost nobody realizes that when a group of people responds to ONE stimulus – say, 100 customers buy one product from you – 80/20 can tell you how many will buy a product that’s 10X more expensive. It’s almost a law of physics, a HUGELY ignored resource. That means you can apply 80/20 to 80/20 itself! You can make ONE move, do one small market test… then infer an entire complex future business from the results. And while it won’t tell you *what* your customers will buy, it will tell you how much they’ll pay when you put the right thing in front of them. And it will be scary accurate. 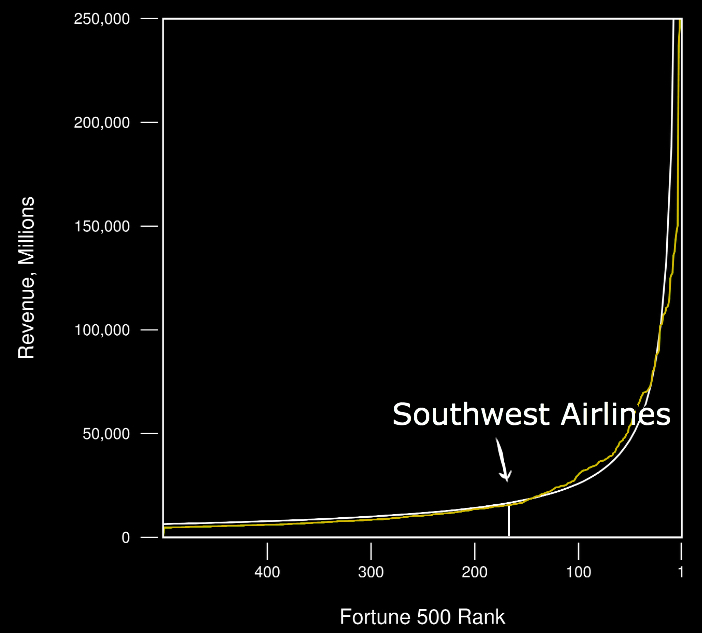 Southwest Airlines is #167 in the Fortune 500, with $15.7 billion in sales” to generate the white curve, based on 80/20. The yellow curve is the actual data. 80/20 is incredibly accurate and applies to literally a million different things. The tool is at www.8020curve.com. “100 people paid $3,000 for a voyage on a cruise ship. 80/20 predicts that 7 of them would pay $30,000 to scratch the same itch in a bigger way. What kind of exotic cruise would you need to organize to get those 7 to spend thirty grand? Okay, so with 80/20 applying to a million different things, where would you recommend someone start (ie. what’s the 80/20 of the 80/20)? Focusing specifically on marketing, where should people look first when thinking about 80/20? And have you noticed any area of marketing that can deliver greater impact than others? 20% of the people will spend 4X the money. And 20% of them will spend 4X more. And 20% of them will spend 4X more. And on it goes until you literally run out of people. 200 will give you $400, 40 will give you $1600, and 8 will give you $6400, and at least 1 will give you $25,600. Add all those up and you don’t have a $100K business. You have a $100K + $80K + $64K + $51K + $25K business. Total is $320K. You tripled your business! You also made it more robust, more diverse. Economic changes may wipe out one of those product lines but they’ll almost never take out all of them at once. This is why GM has Chevy AND Buick AND Cadillac AND GMC. All their real money is made on the higher end brands. The cheap stuff just keeps the lights on. This progression, this “infinite series,” is essentially a law of physics because 80/20 is an endlessly repeating pattern. A few of your customers DO have the ability to spend the money; I can virtually guarantee you that. They have the desire to scratch the itch; I can virtually guarantee you that as well. Now, obviously the $6400 product is going to be much different than the $100 product. Sometimes it’s the corporate buyer or the person who’s going to buy 64 units instead of just one. But it’s almost never just the multi-unit buyer. There is almost always a deluxe buyer who wants to be pampered. Think Nordstrom. Think Neiman Marcus. A lot of people think those elite brands are some kind of anomaly or oddity. “Who would pay $2600 for that ugly dress anyway?” 0.3% of any population, that’s who! Notice the multi-dimensional nature of 80/20, because not only are there 8 people who will pay $6400, some people will also buy 50 $100 units instead of 1. So when you start your business and when you get any of it to actually work at all, there’s a whole network of hidden opportunities that I can guarantee you are there, which most people never consider, or discover only accidentally. Most people don’t see those opportunities because 1) they’re thinking too small, and 2) they don’t yet posses 80/20 X-Ray vision. That’s why I wrote the book and built the software tools that come with it. A company I worked for years ago had one client that accounted for about 75% – 80% of revenue. One year they decided to go with another service provider and the company I was with folded within the month. In thinking about that, I’m wondering if there are situations where it may be risky to apply 80/20? Is it possible to take 80/20 too far? The 80/20 Curve says that if you have five clients, one is going to be 40% of your business. And if you have 500 clients, the biggest one is going to be 10% of your business. Having only one client is not 80/20. In 80/20, there is always some group of people that comprises 100% and it shouldn’t be just one. 80/20 means that how much a client affects you by leaving can range from almost nothing to a big shock. Losing 40% of your business overnight, yes that’s usually a big shock. It is possible to take 80/20 too far – or more precisely, to so completely ignore the bottom 80% that it’s as though they don’t exist. They always exist and they always have a role. But they need to be accorded the proper amount of energy, which, while not zero, is 20% or less. Another way that people take 80/20 too far is that you can be very mercenary with 80/20. 80/20 says you’ll always do better by funding the Gifted Program and cutting the Special Needs program. The Eugenics movement was an attempt to get rid of the bottom rungs of society with genetic ‘cleansing.’ I strongly object. What I believe is that you need to be deliberately mercenary about enforcing quality, and hiring “A” players, nurturing gifted students and having “A” customers. Why? One reason is, so that you have money to be generous and build orphanages and help people who can’t help themselves. In fact that’s what Chapter 24, “My Latte’s Too Foamy,” is about. I really hope people read that chapter because it’s about the fact that there are times when we do have to turn 80/20 upside down. There’s a great quote in your book: “Don’t fall in love with bright shiny objects. 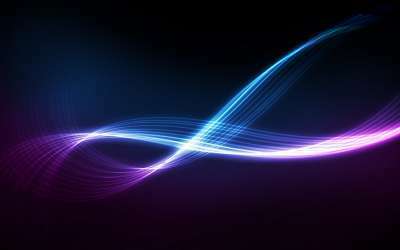 Fall in love with mastery.” That’s such an important point in this age, where we’re all barraged by a never-ending parade of bright shiny objects that can quickly make us lose sight of what’s really important in business (and life). 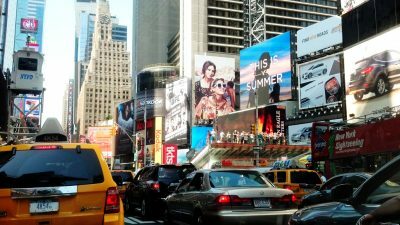 How does 80/20 thinking help limit the distractions of bright shiny objects and build a successful business? Oh yeah, that’s a good one. The advent of the smart phone now means that all our least-productive time – the 80% of our day that used to be unoccupied – is now COMPLETELY filled with activity. Jammed full. No one ever has to be bored again, ever. Now… no one ever really has to even think, ever. All we have to do is hang out in our echo chamber of hand-picked friends and entertain each other. We’ll all be busy and occupied… accomplishing virtually NOTHING. I’ve always thought it interesting that the economic crash of ’08 perfectly coincided with Facebook taking over the world. The 80/20 professional allows only measured spans of time for this. You allocate it with care. When you’re an 80/20 individual you don’t just immerse yourself and let the hours fly by. Instead, you allow SPACE for THINKING and PLANNING. Including time for reading. Dare I say silence? Along with some time spent in the outdoors. The most important thing you do every morning is write your to-do list. The 80/20 professional knows that your to-do list also follows 80/20. So out of 20 things you need to do today, 4 of them have far more importance than the other 16. 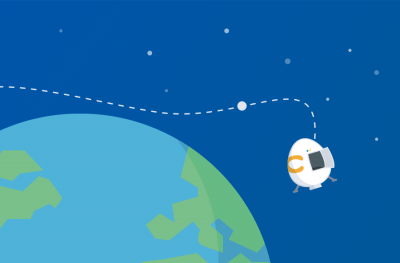 When you place strict limits on external interruptions, when you get your nose out of your Facebook and email accounts all day long, your brain immediately gets more space for thinking about the mid- and long-term future. You are positioned to not be carried away willy-nilly by incessant distractions. Everyone thinks time is short. It’s not true. 80/20 says that there is always enough time! There is PLENTY OF TIME to do the things that are important to you in your life when you’re deliberate about it. The 80/20 individual is deliberate, and that’s why he or she gets 10X more rewards than everyone else. 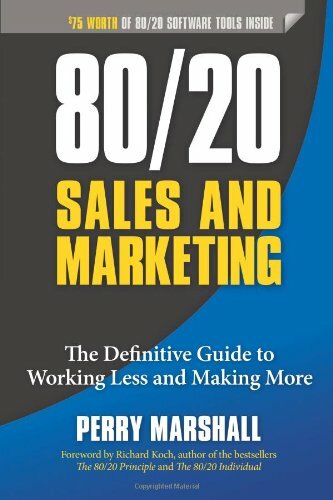 Dig deeper into 80/20 by getting Perry Marshall’s new book, 80/20 Sales and Marketing: The Definitive Guide to Working Less and Making More.